Michelle Snider, the woman behind the camera who confronted a fellow white woman after she called the police on Snider’s husband and his friends using charcoal at Oakland, Calif.’s Lake Merritt park, took to YouTube Sunday to answer the question everyone has been wondering: Did she get her card back? 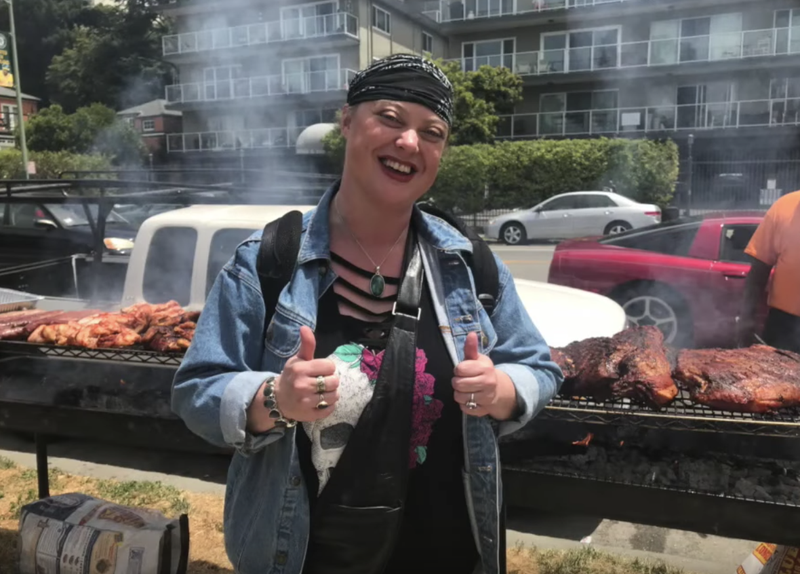 Snider’s YouTube video, taken two weeks ago, has amassed more than 2 million views so far, and probably another million memes of the woman now known as “BBQ Becky.” In the video, Snider turned the table on the snitch and started questioning why she felt the need to call the cops on her friends and husband. But in true Becky fashion, the woman went all white tears and complained about Snider harassing her. During the recording of the video, BBQ Becky took the business card of Snider’s husband’s friend, which showed that he worked as a fire-safety expert, and people have wondered whether Snider got the card back. “No, I did not get the card back,” Snider said in the video posted Sunday. Snider says she was worried about possible retaliation from the woman who said she was going to use the card to report her husband’s friend, Onsayo Abram. Snider went on to say that she wanted to prevent BBQ Becky from using the information to get him fired. “I hear the other stories where people try to target black people in Oakland. ... It seems like there’s a call to arms to try to get people arrested,” she said. Snider mentioned that people have been trolling her and leaked her home address, and that someone has been digging through her trash, but she said she’s not going to let that get to her because, she said, the video is her gift to the world, and for people to enjoy.